Founded over 20 years ago, Kimberley Media Group Ltd (KMGL) is a well established independent media company that specialises in the world of high performance. 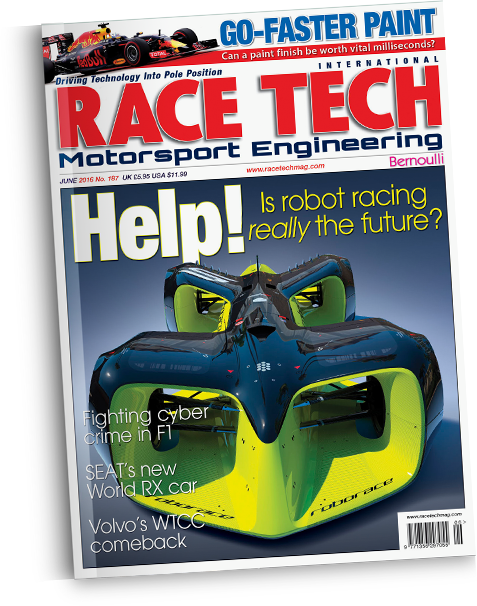 It first published Race Tech in 1995 which has become the world leading motorsport technology magazine and has since launched publications such as Historic Racing Technology and Track Car Performance amongst others. KMGL has also published numerous books and adapted to the ever growing digital age with an impressive online digital platforms reaching a large international audience with the latest news stories, articles and videos. It also owns the World Motorsport Symposium, the most prestigious international event organised for the who’s who of engineering. William and Soheila Kimberley have been in the motorsport industry for over 35 years and are known as a formidable duo. Starting in 1982 with Kimberley’s Grand Prix Guides, they have both gone on to work on over ten titles including Motor Sport Magazine, World Sportscars, Ferrari World, Italian Cars, Country Car, Automotive Engineer, RACE TECH, Moto Tech, Bernoulli and more recently Historic Racing Technology and Track Car Performance magazines. In 1982 William and Soheila set up Kimberley’s Publishers specialising in motoring and motor racing publications including the Kimberley’s Grand Prix Guides and on selling the company to Haynes Publishing in 1988, both joined Motor Sport magazine, William as assistant editor subsequently becoming deputy editor and Soheila as advertising manager. Since then the Kimberley’s have worked on numerous publications between them including World Sports Cars, Ferrari World, Italian Cars and Automotive Engineer which William joined as Editor in 1996 at the Institute of Mechanical Engineers (Imeche). Here he went on to win both the Jet Media Excellence Award for technical writing in 1996 as well as the special Delphi award for technical publishing in 1999. 2005 saw this power couple team up again when William joined Soheila, now publishing director of RACE TECH magazine, as editor where he went on to win the 2014 Guild of Motoring Writers Market Engineering Award for the Technology Journalist of the year. Over the past twenty years, William and Soheila have not only gained a reputation in each of their fields as a highly respected and extremely influential journalist and publisher but they have also Kimberley Media Group Ltd, into an extremely successful media company publishing magazines, journals, books as well as hosting events. Kimberley Media Group Ltd was first established in 1995 publishing RACE TECH which recently celebrated it's 20th anniversary. Since then it's launched Race Engine Technology, Bernouli, Moto Tech, Historic Racing Technology and Track Car Performance magazines. 'I would like to extend my congratulations to RACE TECH on celebrating it's 20th anniversary. It's unique approach to the engineering and technology of motorsport is refreshing and of great value to all engineers, whether in Formula 1 or any other branch of the sport. '20 years of unique technical insight in every aspect and category of motorsport technology'. Whilst reaching a large UK audience, RACE TECH, Historic Racing Technology and Track Car Performance magazines are also all international titles sold across the globe in high street stores, including Barnes & Nobles as well as in many travel outlets, stations and airports. They are also heavily promoted and available at international trade shows including the PWM show in Cologne, PRI show in Indianapolis and SEMA in Las Vegas in the USA. The editorial team at Kimberley Media Group Ltd is run by award winning editor-in-chief William Kimberley who has over 35 years experience as a motoring journalist, editor and author. William restored his first car - a 1935 Derby Bentley - at 17 with his step-father and former President of the Bentley Drivers Club, Johnnie Green, who also wrote 'Bentley - 50 years of the Marque' and 'Legendary Hispano Suiza'. William Kimberley has always prided himself on not allowing anything to get in the way of good old fashion journalism and for that reason no article or story is every compromised gaining him the huge respect he has from all levels of the motorsport and automotive industry, many of whom are now friends. For this very reason William has won several accolades including the Jet Media Excellence Award for technical writing (1996), the special Delphi award for technical publishing (1999) and the Guild of Motoring Writers Market Engineering Award for the Technology Journalist of the Year (2014). William is extremely proud of the amazing team of editors and journalists that work very closely with him and in particular pays tribute to Mark Skewis, former Editor of Autosport magazine, who is an integral part of the team. 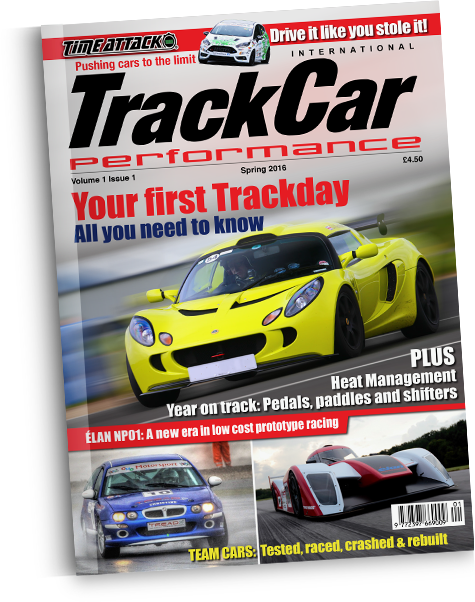 Track car performance is the one stop publication for all those involved in this area of performance driving, from the drivers, to the suppliers, the track day operators and the equipment and service suppliers. brings together journalists from RACE TECH, Historic Racing Technology and Track Driver magazines to create the ultimate guide for an exciting track experience! Motorsport Engineering at its best! 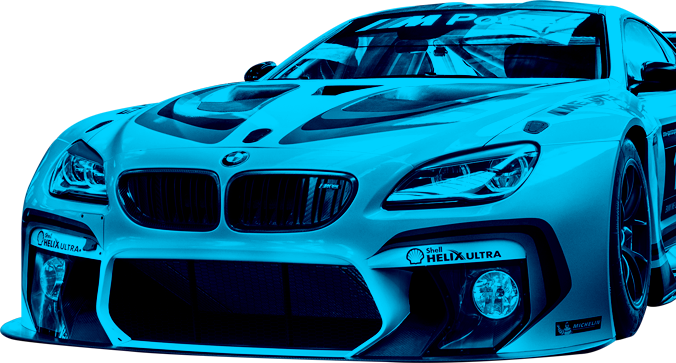 RACE TECH is recognised as the leading international authority on engineering and technology in motorsport. It applies its unique approach to all aspects of motorsport engineering, from the engine and powertrain, through to suspension, vehicle dynamics and aerodynamics. Beyond that it also covers the wider motorsport industry, looking at business and administrative issues, technical regulations and current affairs. Today's technology in yesterday's cars! Ranging from club competitors to those involved with major international events, Historic Racing Technology covers every aspect of classic and vintage motorsport. Topics include engine building, coach building, body work, reverse engineering techniques and manufacturing. 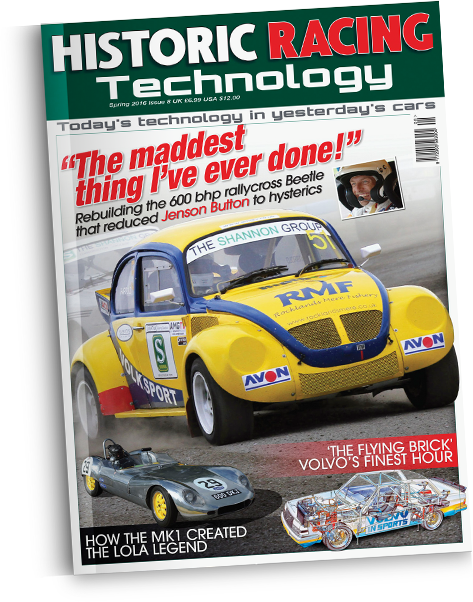 Each issue is packed with technical articles, features and product news with machinery ranging from the very earliest days of motorsport, right up to modern classics such as Group C and Super Touring Cars.